Choi Cheolhan – Ing Cup Winner! Choi Cheolhan won game four in Ing Cup, thus defeating Lee Changho 3 to 1 and winning the topmost international Go / Baduk competition. 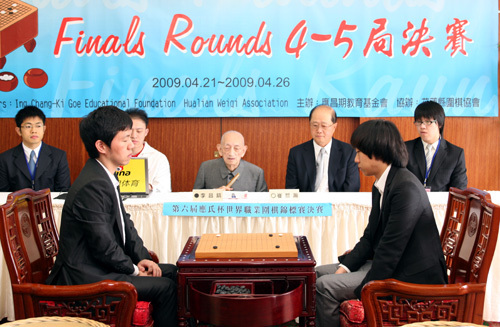 Choi Cheolhan qualified in the final of the previous Ing Cup as well, in 2004, but he lost to Chang Hao. This is Choi Cheolhan’s first international win, as far as I know, although he has won several Korean championships and titles in the past, and in particular he has a good record against Lee Changho: he defeated Lee Changho 3:2 in the Guksu title and 3:1 in the Kisung title in 2004, and 3:0 in the Guksu title in 2005. He must have slowed down a bit after that, since his next titles only came this year, when besides this Ing Cup he also won Korean Maxim Cup. Here is a photo from the beginning of the game, with Go Seigen watching. Here is the game record. A huge exchange took place with white’s move 72. More photos here, here and here. Very nice English coverage and photos here, here, here and here. Cho U won game 4 and defeated Judan title holder Takao Shinji 3:1. Here is the game record. Cho U played black and killed Takao’s group on the lower side. By capturing this title, Cho U holds an amazing five out of the seven major Japaense titles: Meijin, Judan, Tengen, Oza and Gosei. He also won Agon Cup, which is a blitz tournament. Takao Shinji has no more title after losing Judan, but he qualified as the Honinbo title challenger and he is playing a best-of-seven match with title holder Hane Naoki starting on May 13th. All the game records from the Judan title are here. Hane Naoki (Japan) lost against Chang Hao (China), Cho U (Japan) lost against Lee Sedol (Korea), Takao Shinji (Japan) lost against Lee Changho (Korea), Iyama Yuta (Japan) lost against Kang Dongyun (Korea), Moriyama Naoki (Japan) lost again Piao Wenyao (China), and Xie He (China) lost against Park Yeonghun (Korea). Round 3, to be played on June 6th in Seoul, Korea, will have four Koreans, two Japanese and two Chinese players. Here is the game record between Kono Rin and Gu Li . Tournament table and game records here. The real tough matches will start from round 2 though – to be played on April 13th (Japan time) – since the world top players will be seeded directly in round 2: Gu Li, Chang Hao, Lee Changho, Lee Sedol. 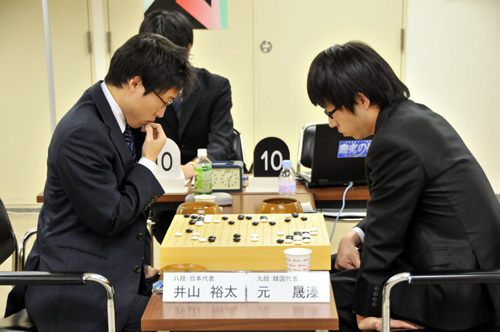 Among the Japanese players Yamashita Keigo, Kisei title holder, was seeded directly in round 2. Tournament table and game records here. 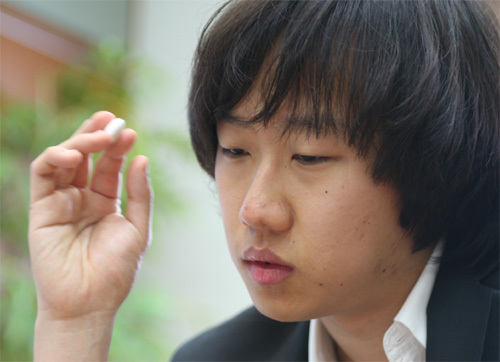 Cho U won game three in his Judan title challenge against Takao Shinji, and leads 2:1. Judan is played in a best-of-five system, so one more win will give Cho the title. Its my hope that this will kickstart a fansubbing community for Go videos, similar to the ones we have for anime now. There’s a treasure trove of Go videos all over the Internet, just waiting to be translated and brought to an even bigger audience! I am hosting Joe’s first fansubbed videos at this link. I also started a general Go / Baduk videos page to collect interesting videos. Please feel free to suggest more public videos that you liked! You are currently browsing the 361points.com/blog blog archives for April, 2009.